Epic thunderstorms that started with hail and escalated to horizontal pounding rain from 6PM until just after 8PM put a small damper on our walk-in business and may have been the chief cause for 32 n/s. We had a fantastic night with the guests enjoying the food, service and extreme weather (once they were safely inside). The first private party went very well and we learned a lot for next time. Another summer classic with thunderstorms providing entertainment for our dinner guests. Big thank you to Leslie, Todd, Matt and the entire team to rally back from the power outage right before we opened the doors for service. It was challenging behind the scenes, however strong teamwork ensured the guest experience was barely effected. 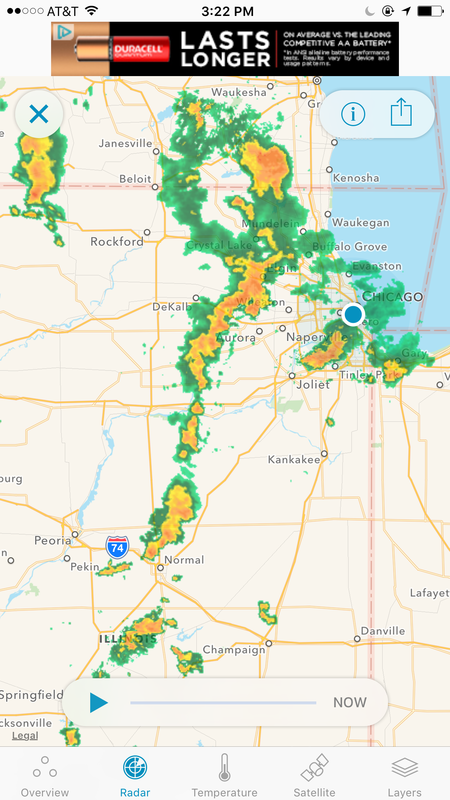 Tom Skilling says… The atmosphere is primed to erupt into t-storms again: energy levels extremely high, air dripping with tropical moisture. Situation is volatile!